Yesterday was so miserable that I almost couldn't bring myself to leave the house! It rained all day and was absolutely freezing... but a bit of fresh air never hurt anyone so Matt and I did pop to Crouch End for a bit in the afternoon. 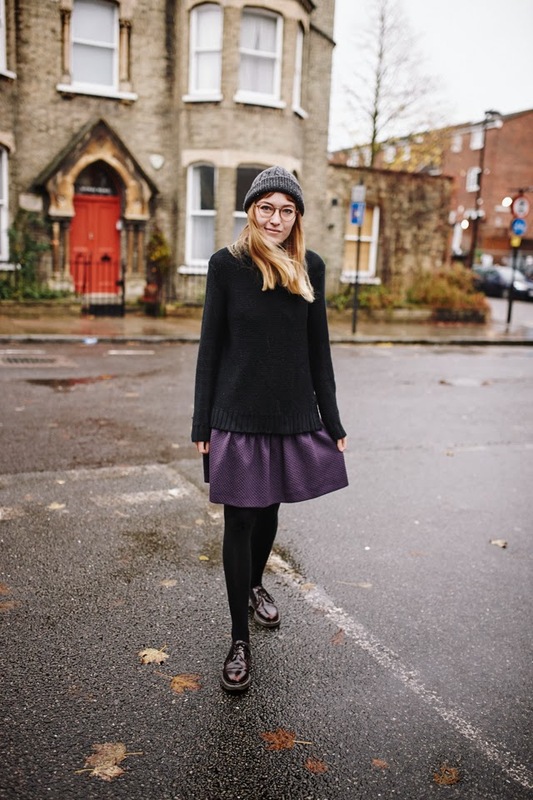 I wore my M Missoni dress underneath a black roll neck, (which I've been living in recently), with tights and DMs. 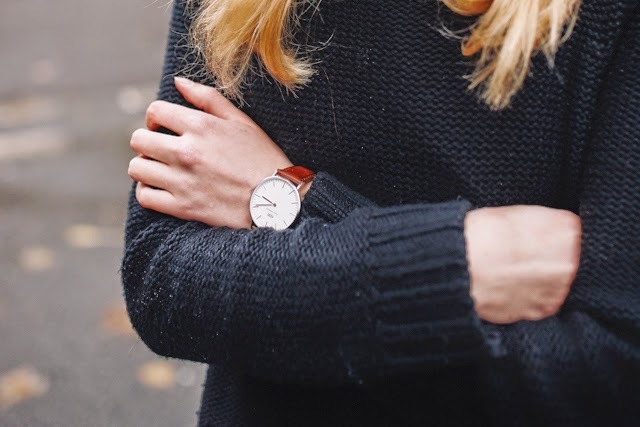 I then layered up with my favourite forest green coat and a beanie hat - I've actually gone off this hat recently though so I'm hoping to get a new one for Christmas;) I also wore my new Daniel Wellington watch*, which is a lovely, simple leather design. This week you can treat yourself to 15% off of any DW design with the discount code fashionyourseatbelts - enjoy!